Platform poetry – For the fainthearted . . . There was poetry in the announcement of the coming departure. 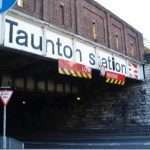 It was always a source of intrigue that the number of stops west of the Tamar was double the number in Devon, not that we would be seeing any of them; the carriage reserved for our return to school would empty at Exeter St David’s, a mere two stops away. Perhaps there would have been a chink in the gloom if we had travelled on a Paignton train instead of a Penzance one; it would have stopped at Exeter St David’s and Newton Abbot, but would have taken us through Exeter St Thomas, Starcross, Dawlish Warren, Dawlish and Teignmouth, before reaching Newton Abbot, the station closest to our Dartmoor destination. A Paignton train would have allowed a pondering of Starcross, a station name worthy of a place in a novel, and a journey along the Exe Estuary and the sea wall at Dawlish. Of course, the places were no more poetic than any other town or village in the south-west of England, (which means many were very pretty, yet no more so than their neighbouring settlements); but it was the railway that endowed them with an aura of mystique. The crackling into life of the 1970s public address system; the accelerating rhythm of the announcer’s voice as he listed the stations, drawing to a sharp stop at Penzance; and then the heavy silence as we waited. There would be a humming sound from the rails as a diesel locomotive approached, rolling into the station as it drew a long train of carriages; open plan ones in the spirit of 1970s egalitarianism (had we travelled from Yeovil Junction to Exeter, we might have caught a compartment train, with its potential for considerably greater teenage mischief). The doors at the end of the carriages were opened by sliding down the window and leaning out to reach the door handle. As the carriages passed, a teacher’s head would appear through a door window, eagle eyed as he looked out for the small knot of boys who would complete the school party. Last on the train meant sitting with people no-one else wanted to sit beside, but that somehow captured the dejection of the moment. Yet, were it not for the train, the experience would almost certainly have long since faded from the memory; how many road journeys do we ever remember? Travelling by rail seemed somehow to heighten the experience, to place it in a grander, more dramatic context, to turn moments that were gloomily prosaic into times that became deeply imprinted upon the memory. Could there have been a sense of anything poetic catching a National Express coach or travelling in our Austin Cambridge car? 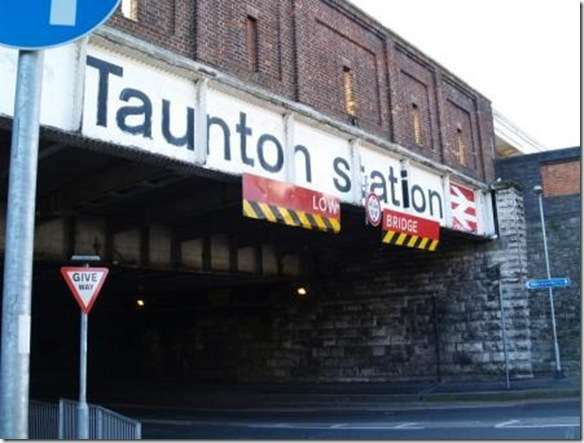 The platform at Taunton was a connection with something greater, it gave a sense of being part of something with direction and purpose; perhaps that is why many clergy so like railways.